The scenic destination of Ladakh is full of scenic lakes, wildlife sanctuaries, lush green gardens, blossoming meadows, snow-covered hills, and pilgrimages. The remarkable place offers a lot to visit during your tour and you can with bagful of sweet memories. So, visit Ladakh for lifetime experiences. Enjoy the charming holiday experience amidst one-of-its kind natural destination, Leh-Ladakh which is located in Jammu & Kashmir. This 4 nights and 5 days tour includes trip to famous attractions of Ladakh such as ancient monasteries, Khardung La Pass, Pangong Lake and much more. Want to visit an exotic destination this vacation season? Take this exclusive holiday packages to Ladakh with us and be amazed with one-of-its-kind natural beauty. There is no place like Ladakh in the world. In fact, due to its varied landscape and exotic natural beauty, Ladakh is often referred to as broken moon land. Leh and Ladakh are two remarkable hill stations of India offering thrilling experiences with a number of picturesque spots. Along nature’s beauty, Leh and Ladakh are known for their Buddhist monasteries. With this tour package, visit the gorgeous destinations of Himalayan. Explore the bewitching hill stations and come across various amazing valleys. Truly a natural paradise, Ladakh is bounded by the two of the world's mightiest mountain ranges, the Great Himalayas and the Karakoram. Get ready to explore the enchanting beauty of Ladakh and its popular excursion regions such as Likir and Alchi with this 7 nights and 8 days tour package. If you are planning a vacation than taking this holiday package with us will surely make your holiday even more special in Ladakh. Leh and Ladakh are two wonderful destinations of India bestowing incredible natural beauty with various scenic spots. Are you an adventure lover? 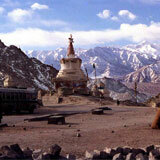 If yes, then this holiday package of Ladakh will surely entice you. goaroundtours.com brings Special Frozen River Trek on Zanskar for trekking lovers! 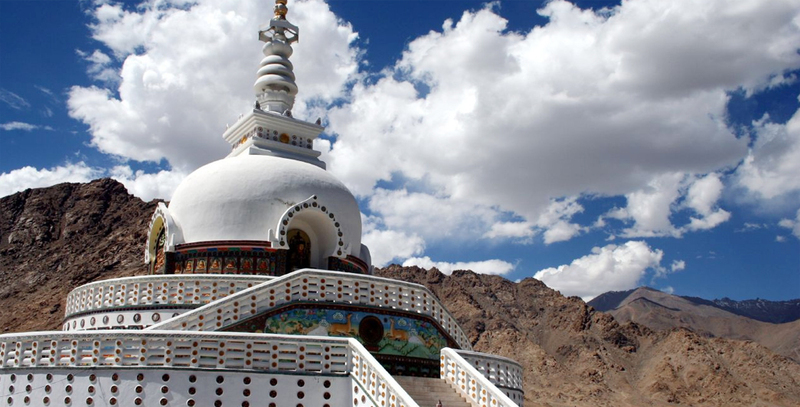 Along with bliss of nature, Leh and Ladakh feature a number of Buddhist monasteries. Visiting these destinations allows you enjoying the charming views of the valley and snow-capped mountain peaks. In Ladakh, trekking is one of the most popular activities to witness the breathtaking views of the valley.